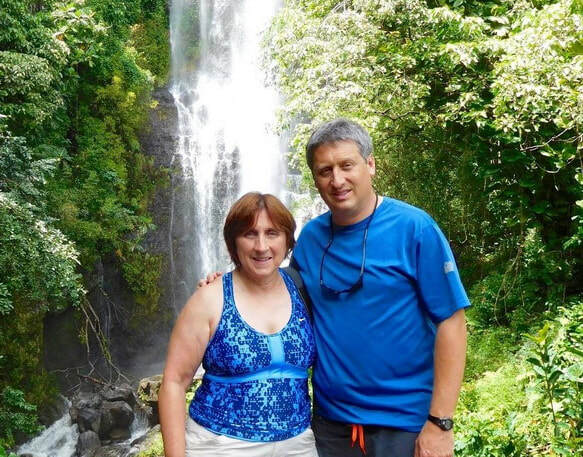 We value our relationship with all of our travelers, and take pride in providing the highest standard of services. See below for a small sample of the many clients compliments that we have received so far and leave your feedback about a tour using the form at the bottom of this page, thank you! 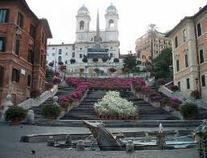 I found Best Italian Vacations on line and quickly gave Alex a call. He asked several questions, and within a few days emailed me an itinerary which hit every wish we had, places to see, plus his added suggestions. After a few tweaks, we had the PERFECT itinerary! Alex provided us with private drivers to all our destinations, private boat tours, and a private winery tour when the winery was closed! We had a tour guide for an entire day at Lake Maggiore who went with us on the train into Switzerland! He was an awesome guide, he could speak five difference languages, knew the answers to all our many questions, right down to the best Swiss beer to have at lunch at a recommended street cafe! Alex works with outstanding people to make your visit very special, which is exactly what we were looking for. The travel app he provides is really cool, it shows your detailed itinerary, driver cell number, where to meet your boat, guide, or car and one icon to press to reach Alex directly if you have a problem. We will definitely work with Alex again, and hope it is very soon!!! Alex and his staff are exceptional. This is the second trip he has planned for me personally and has planned several trips for friends that I referred. Let me say he doesn't miss a detail! His response time to questions before and during the trip was exceptional. He is flexible to work with your needs and budget. I would 100% recommend his company to anyone traveling to Europe! Truly 5+++ stars! About the trip, the drivers, local guides were excellent. A BIG applause to our minibus driver, Marco! He was on point and professional, not to mention his punctuality. 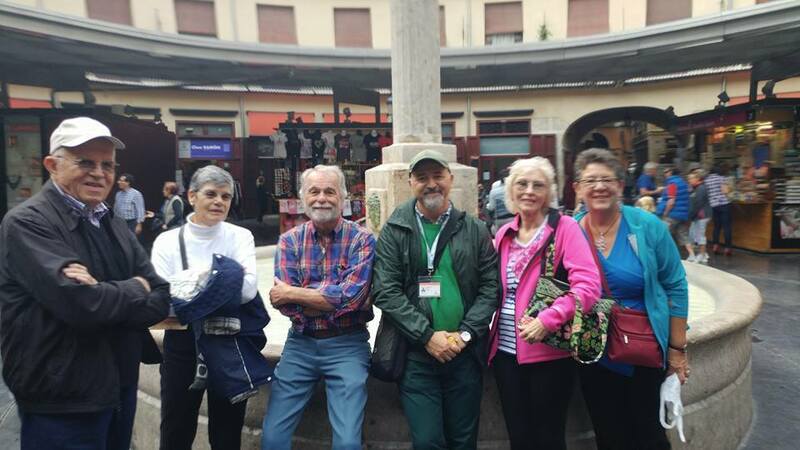 Our drivers of the 3-hour Rome city centre tour was well organized, accommodated to our request and on time. Our guides Anna in Florence and Max in Rome were fantastic too. The walking tour/tours were very well paced and informative, both Anna and Max were very patient with us. We all really enjoyed the time with them. Basically, we just have to follow the itinerary to meet the drivers or guides, the rest was to enjoy the journey. 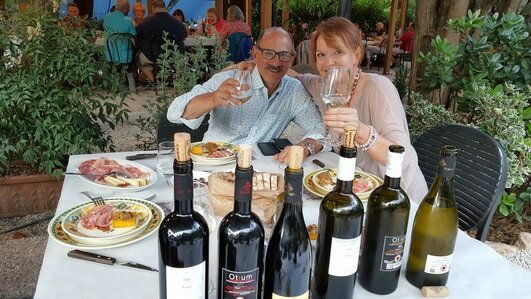 If Orvieto, Umbria is on your radar, I highly recommended you have Alex to arrange the private wine cellar tour and lunch for you, it will be an exceptional experience. Overall, I will give a 5 stars rating to Alex and Best Italian Vacations. Especially Alex at the planning stage, he provided a lot of suggestions, alternatives with local expertise. The hotels he put us in were very centralize and within walking distance to the main attractions, this allowed us to do a lot of exploration on our own. Great trip, awesome experiences and we will definitely call Alex again for our next trip to Europe! 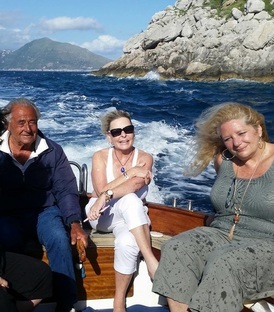 I just returned from the most wonderful vacation in Italy planned by Best Italain Vacations and Alex! I was there with my son and his girlfriend for 2 weeks and everything work like clockwork! Alex planned everything down to the littlest detail. The hotels, drivers, guides, and dinner reservations were fantastic. I have traveled quite a lot and this by far the best planned and executed trip I have experienced. Cannot say enough about BIV and Alex! Far exceeded my expectations. Alex met us in Florence and was our driver/guide for two days, and what a delight to meet him and get to know him better. The highlight of the trip for my family was the 3 day trip Alex planned for my son and his girlfriend in Paris after Italy, and they are Engaged! My friends tell me when I talk about this trip that I am more excited than others I have been on, and my answer is ABSOLUTELY the best so far!! I look forward to planning another trip with BIV and Alex. Working with Alex was a breeze. We contacted Best Italian Vacations and told them the type of trip we wanted and our top travel destinations. 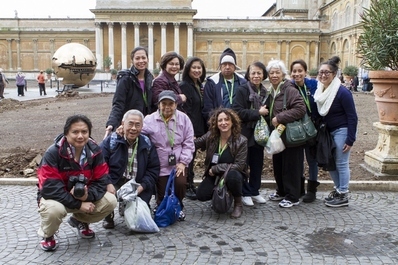 They were able to put together an itinerary that maximized out time in both Italy and France. 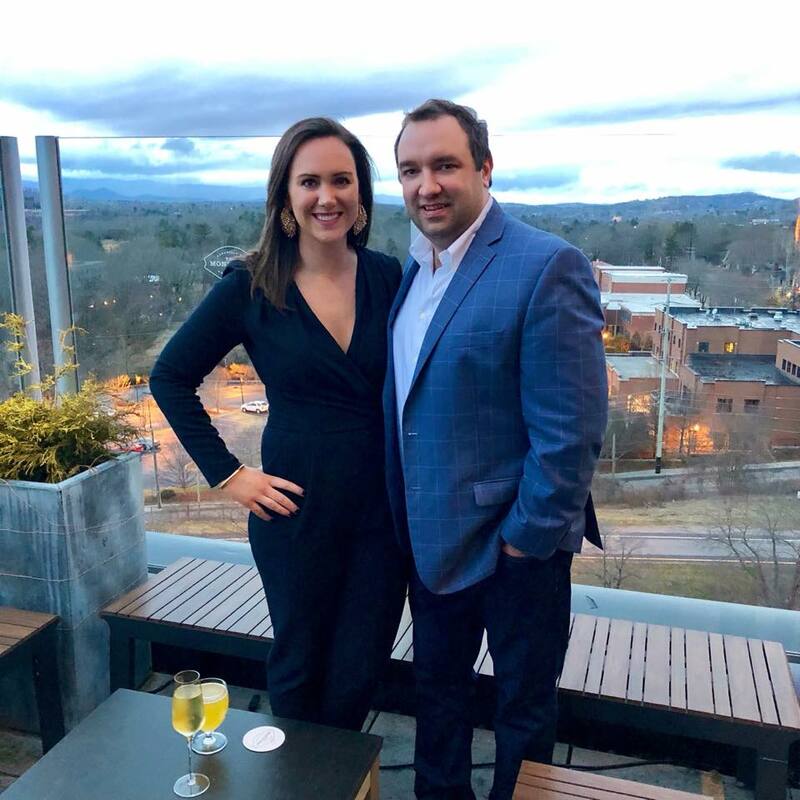 Alex and BIV were able to set up an unbelievable trip along with day trips to surrounding regions and tours of the cities we were visiting. Once we landed in Italy almost every detail of our two week trip was planned for us and presented in a user friendly app on our phones to detail each day. If we wanted to change anything Alex requested we let him know but what he chose for us was perfect. The pick-ups from the airports and train station were on time and easy to locate. We were driven to and from destination s in either a Mercedes sedan or van. All train and plane transport within Europe was taken care of and tickets or boarding passes were sent to us ahead of time. 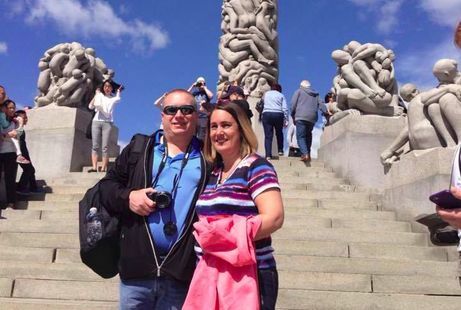 We toured the sights in Rome, the Amalfi coast, Florence, Venice, and Paris. Each day was either a day trip to a nearby sight or a guided tour of the city we were staying in. 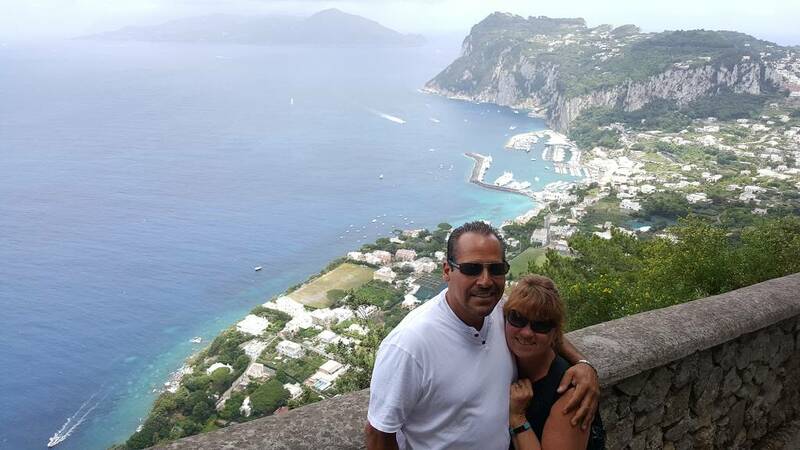 Had we not have added the day trips to Cinque Terra, San Gimignano, Capri, Amalfi, or Ravello during the trip we would have missed so much. If we had tried on our own to venture to those spots we would have been waiting in line for hours. Each spot we visited we had skip the line tickets and saved so much time in our day. Alex even joined us as our personal guide in Florence for our excursion to Cinque Terra one day and our winery tour near San Gimignano(one of our favorites). 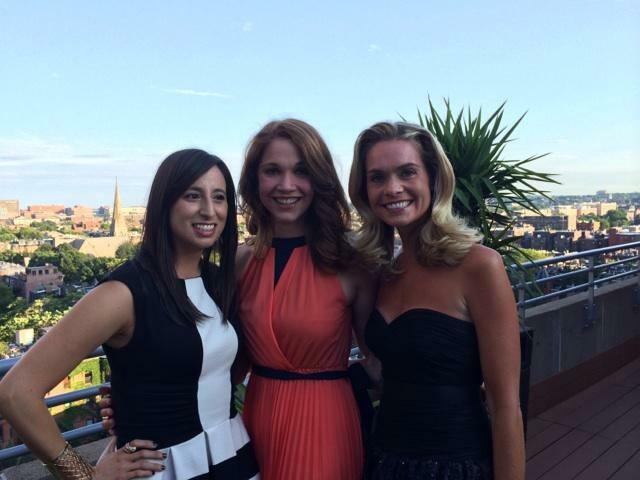 Christina in Capri, Julia in Positano, Max in Rome, and Laura in Paris were fantastic as well! Overall the planning that Alex and BIV did for us was above and beyond what we expected and well worth every penny spent. If you want to see everything your destination in Europe has to offer Best Italian Vacations is the way to go without a doubt! We trusted the company with the trip of a lifetime and they did not disappoint! Thanks Alex!! Geoffrey Sands & Kelsey Rhodes, New York City, U.S.A. 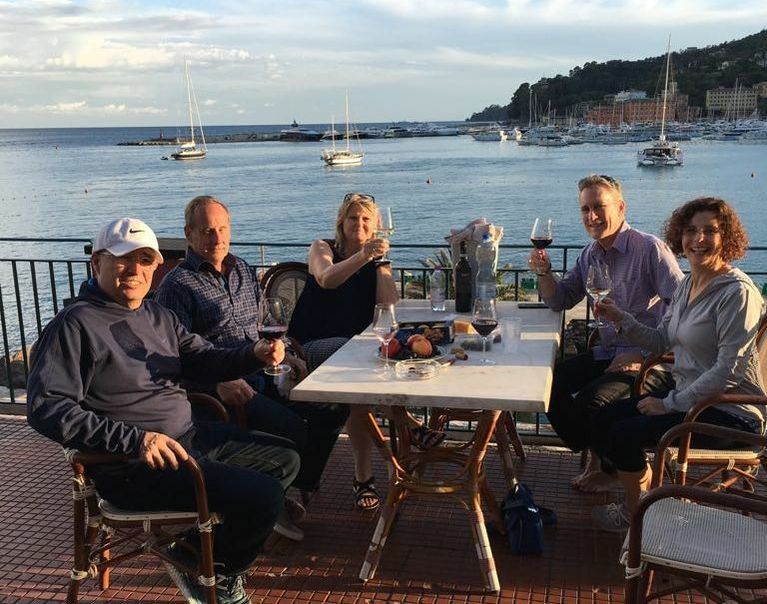 When I decided to plan a 7 person/3 generation trip to Europe, I was overwhelmed with working out the tour details of three of our ports during our Mediterranean Cruise. Alex came recommended by my parent's fellow RV Club friends and painlessly created realistic itineraries for Naples, Rome, and Florence. Since our time was limited, Alex's suggestion that we consider "Skip the Line Colosseum tickets" and pre-purchase our "Il Grande Museo Del Duomo" for Florence's Cathedral monuments maximized our touring minutes! Each day we were met promptly at the Cruise Terminal exit by a courtesy driver with my name clearly printed on a large sign. For our first port stop in Naples, our driver Aldo "saved the day" when a traffic jam in the Naples parking lot caused a 1.5 hour delay in our departure. Aldo communicated with our Pompeii tour guide concerning our progress and made us feel calm and comfortable in an extremely stressful situation. Pompeii came to life with the interesting stories of our tour guide and we loved that we were able to quickly buy tickets and enter archaeological site immediately upon our late arrival! Leaving Pompeii, one of my teenage boys commented that he was thirsty, Aldo quickly pulled the car aside and shared with us a convenient public water fountain located in a pretty village square to re-fill our bottles. Aldo also acted as our family photographer taking several photos as we stopped at scenic overlooks along the Amalfi Coast! Our lunch at the "da Costantino ristorante" was delicious with sweeping views overlooking beautiful Positano AND as my teenage sons swore "THE BEST PIZZA OF OUR ENTIRE VACATION"! On our return trip to Naples, our vehicle began leaking water and required Aldo to make 5-6 stops to refill the radiator and avoid a break-down and possible delay in returning to our cruise ship. Aldo once again swooped in and saved the day while serenading us with fun 70s songs! Our day in Rome went smoothly with an efficient driver and informative tour guide who shared his history of the Colosseum and Forum. 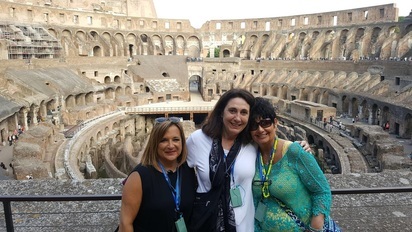 We were impressed with their flexibility (not touring Palatine Hill due to heat and Grandma's mobility) in quickly picking/dropping us at major sights like Trevi Fountain, Spanish Steps and Piazza Navona in order to utilize our time efficiently. Traveling to/from Florence was relaxed with our local driver who shared interesting stories about his life growing up in the area. Our Florence tour guide was an attractive red-haired native whose calm demeanor was a blessing in a very crowded Italian tourist area. While walking in/near the sights, she shared historical facts about the impressive Baptistry, Cathedral, Palazzo Vecchio, Ponte Vecchio and toured the museum with us highlighting significant works of art. 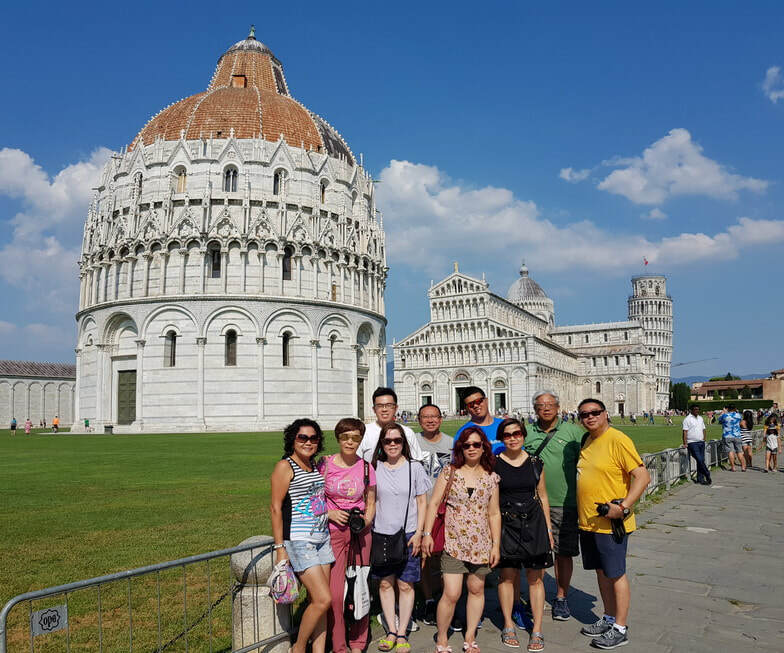 Our experience with Best Italian Vacations was excellent and truly made our family vacation a relaxing and educational experience! Many thanks!! Jana Fevurly, Kansas City, MO, U.S.A.
Our family of eight (three generations, ages17 to 73) recently returned from the best vacation ever. Ever! 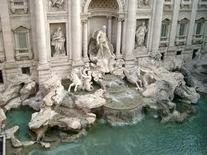 Nine days beginning and ending in Rome with trips to the Amalfi Coast and Florence. We began planning the trip ourselves and soon realized that we could not maximize our time and experiences without help. That is when we contacted Alex. He listened to our requests and requirements and then worked up an itinerary. We tweaked his plan slightly. He and his team then set about nailing down all the details — including concert tickets and high-speed train tickets. Our drivers were all courteous and punctual. They all drove comfortable, air-conditioned 8-passenger vans. All of our guides were knowledgeable and personable. Our itinerary included a nice mix of the ubiquitous touristy attractions and some less traveled side trips. Alex touched base with us several time just to make sure everything was going smoothly as planned. (It was!) He even met us after our cooking class in Tuscany. He is as charming in person as he is online and on the phone. 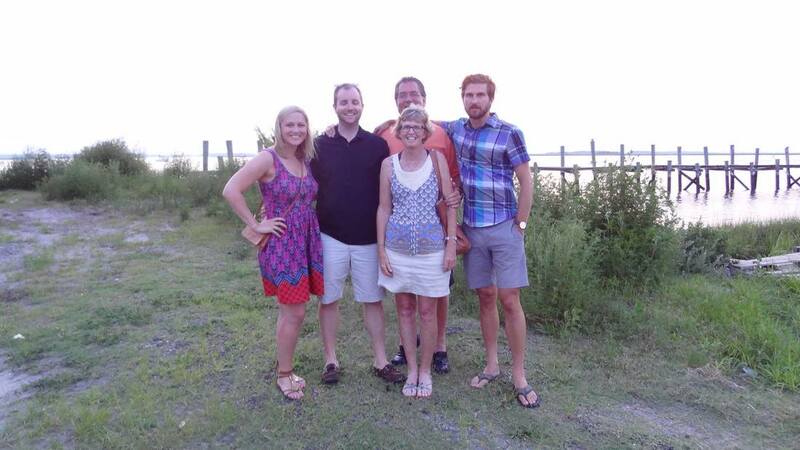 For nine days, our family enjoyed the most memorable time together. We experienced zero anxiety or stress. Thank you, Alex and Team! Our trip to Puglia was a 10! The guides, the drivers, the hotels, the sites were amazing. Alex did an excellent job planning and staying in touch to be sure our needs were always met! Highly recommend this company for future travel! Alex did a great job meeting the needs of our group in both the planning and executing of our group’s vacation in northern Italy. The hotels were perfect and centrally located and the drivers and guides were excellent and on time - every time. He was always available, by phone before the trip, and answered my emails immediately while we were in Italy. I would recommend him highly. My wife and I just returned from our two week trip to Italy and Spain for our 20th wedding anniversary. Alex did an excellent job planning the trip. Every driver and tour guide that he arranged was on time (actually early), spoke good English and were knowledgeable and friendly. I loved moving to the front of the lines at the Coliseum, Vatican, David and Sagrada Familia. It was a vacation to remember. I would highly recommend Alex and Best Italian Vacations. Thanks Alex! Bob & Lori Vandehey, Piano, Texas, U.S.A.
Alex, his drivers and guide at Paestum were all awesome. 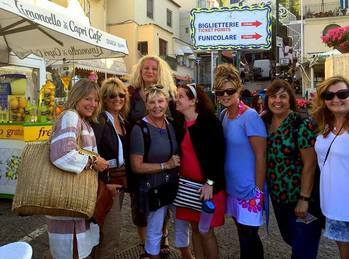 Our trip to the Amalfi coast and Rome was very well organized and a perfect mix of leisure and tours. We enjoyed a beautiful day in Positano, exploring the town and seaside. 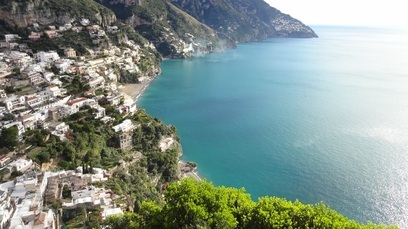 Our hotel in Positano, Posa Posa, was beautiful, had great views from our room balcony and from the restaurant terrace. At Paestum(Greek ruins near Salerno) our guide Francesca was friendly and provided an in depth tour of those fascinating ruins and the accompanying museum! Giuseppe, our driver to Paestum, gave us a locals viewpoint on the history and current life of the area and people's between Naples and Paestum. The next day we travelled along the coast, visiting Amalfi and Ravello. Again, our driver provided a vivid description of the area and its history! Our final planned excursion was to Tivoli, visiting Hadrians Villa and the Villa d' Este. These are both 1 hr outside of Rome and worth the visit if you've already seen Romes attractions or just want to get out for the day. The ruins at Hadrians Villa are more extensive than I had imagined! Also, Alex made several restaurant recommendations for Positano and Trastevere that were all spot on. You just need to ask him! He is very responsive and provides superb customer service. ...and to punctuate the customer service accolades, Alex insisted on paying for our final meal in Rome at Meo Patacca, since he felt so bad about us missing our trip to Capri! It was excellent! Arrivederci Alex and Best Italian Vacations! 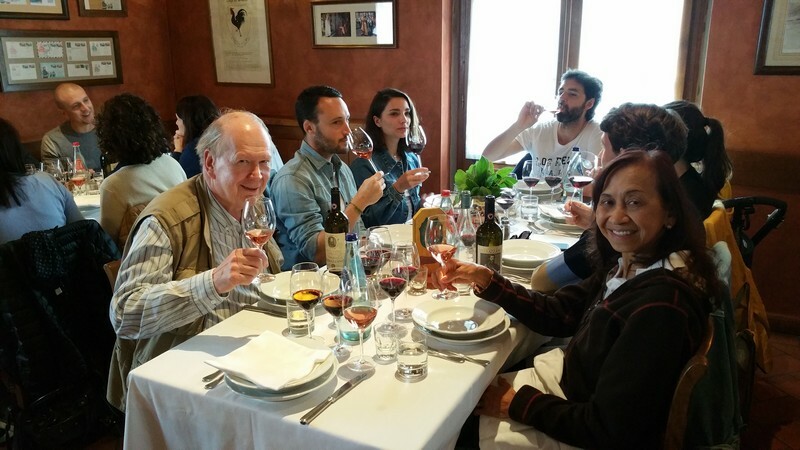 ​We recently returned from a trip to the Piedmont region of Italy. 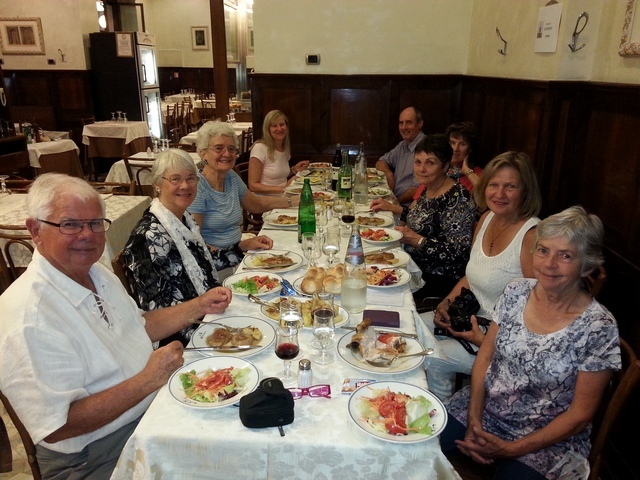 Our itinerary included Turin, the Langhe region and Lake Maggiore. I worked with Alex to discuss our interests and I had done some research into some of the historic sites in each region we wanted to visit. Alex put together a great customized trip for us! Our accommodations were perfect in each area we visited. Drivers were always on time, polite, flexible, and knowledgeable. Our guides were also great and provided in depth information about the sites we were visiting. We especially liked the private tour of one of the oldest Barolo wineries and got to see their historic barrels. The wine and the food in this region is fantastic and we were there for the start of the truffle season. When we were at Lake Maggiore we took a scenic train over to Switzerland for lunch and returned by boat. We had a wonderful guide with us for the whole trip. We were able to see so much in the 8 days were there. I could not have put this trip together myself and have it go so flawlessly. Also, a private tour is the way to go and the cost is not much more than a larger group tour. I would recommend Alex and his company in a heartbeat! ​Our group of 6 just returned from an 11 day trip booked through Alex. Our trip was great!! We loved the variety in our itinerary. Every day was fun, every driver and guide was on time, every hotel was clean and well located. The trip was the perfect pace for our group. Thank you Alex! We will not hesitate to book through you again! ​I've been to Italy 5 times now with several different tours. Based on that experience, for me the arrangements made by Best Italian Vacations for my family and I were excellent. The cars and drivers were always on time, the hotels they booked were just exactly as we agreed (some 4 star, some 5 star). Alex even made dinner recommendations and reservations for us in a couple of stops - Ravello, Positano and then in Rome. The guides they arranged were both fun and very knowledgeable. It was a pleasure to be with them, and it enhanced the trip experience because of the guides' quality. Giovanni for Pompeii and Capri was great. I would recommend them very highly. ​When in Italy and looking for more than just a tourists’ experience, Best Italian Vacations is the way to go. When we were in Greccio, Alex took us to a restaurant that is usually only frequented by the locals, but oh goodness the food was beyond fantastic (my mouth still waters at the thought), couldn’t beat the view and ambiance gave a true taste beyond the “tourist Italy”. The local guides were not only knowledgeable but absolutely fascinating with the history shared and with Alex’s local knowledge, I left Italy feeling that I saw beyond the usual tourist must sees (though we certainly saw all of those), into the true heart of Italy! It was an experience that I would jump at the chance to do again! ​I just returned from an 8 night stay in Italy and cannot say enough about how wonderful the entire experience was! Alex did an outstanding job organizing an itinerary that was executed flawlessly. All of our drivers and guides were prompt, courteous and very knowledgeable. 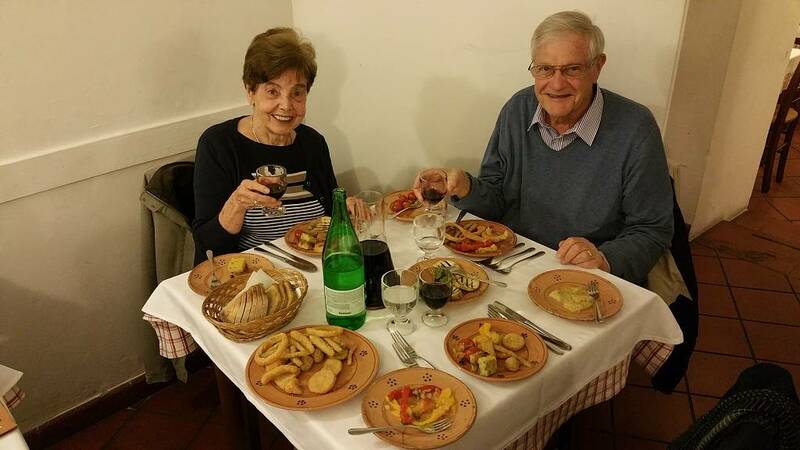 Having a private tour arranged and not having to wait in endlessly long lines at major attractions (Coliseum, Vatican Museum, Academy of the Gallery of Fine Arts, etc) meant we had so much more time to enjoy the sights, sounds and of course, the amazing food!! 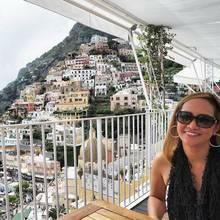 My friend and I spent four nights in Positano and four nights in Rome. We absolutely loved everything on our itinerary and wouldn't have changed a thing. A highlight of the trip was hiking "The Path of the Gods" which was stunningly beautiful and the experience even more special thanks to our charming guide. Our hotel accommodations were more than adequate and Alex even stopped by the hotel to meet us and make sure the trip was going well. I will absolutely be using Best Italian Vacations again when I plan my next European vacation! It was a stress free and amazing experience I will never forget! ​Alex Lavagnini, we can not thank you enough for our time in Italy. You have planned the absolute best trip for us we could imagine... Best Italian Vacations has done a phenomenal job. Our itinerary and accommodations in Florence and Sorrento and Rome were spectacular, our drivers and guides, the very best! We could not have asked for a better or more relaxing trip. Every detail was taken care of. Thank you again Alex! 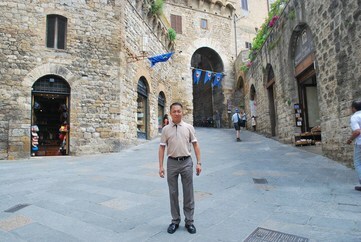 Our magical trip to Tuscany was a lifelong dream that we accomplished in true Italian style thanks to Alex. 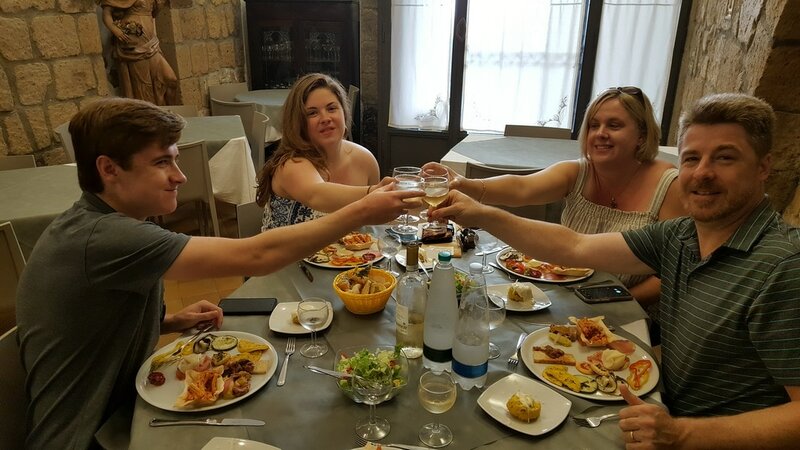 Our culinary tour of Tuscany was well planned and at an un-hurried pace that we were able to see and eat everything on our wish list. We even fit in a relaxing spa day at Grotta Giusti into our schedule. We received VIP treatment at all of the wineries and restaurants we visited and were booked with bypass the line tours with our own private guides to the great monuments of Florence, Pisa, Cinque Terre and Rome. All of the art and scenery we experienced was breathtakingly beautiful. Having our own private guides and driver made our trip completely hassle free and was definitely worth every penny that we have chosen to only travel this way from now on. Thank you Alex for all of your hospitality and for the excellent bottle of wine you gave me for my birthday. How special it was! We look forward to booking our next trip to Spain with you in the near future. Alex Lavagnini I can never thank you enough for planning a trip of a lifetime for us! Best Italian Vacations is amazing! Our tour guides were our teachers educating us in the unbelievable history of Florence and Venice. They were warm, incredibly knowledgeable and professional in every way. They also became our friends. The accommodations were fantastic and in the best locations. The excursions were personal, unique and exceeded our expectations. We can't wait for you to plan our next trip! A friend recommended Alex to help us plan our trip to Barcelona. And we are so grateful she did!! We had a wonderful, easy trip because of everything Alex set up for us. My nephew said it was the best trip he had ever been on. Alex booked our hotel in the heart of the city and set up day trips to Montserrat and Tarragona and a tour of Barcelona. Our wonderful driver and guide, Peter, was with us all week. He showed us beautiful views and and really interesting historical sights that we wouldn't have known about otherwise. It was one of the best vacations we have taken to Europe, and Alex made it all happen. Thank you, Alex, and JustMyTour! Alex, where do I begin!!! We just returned from the most amazing, incredible vacation. Alex, you and your team met and exceeded every one of our expectations. 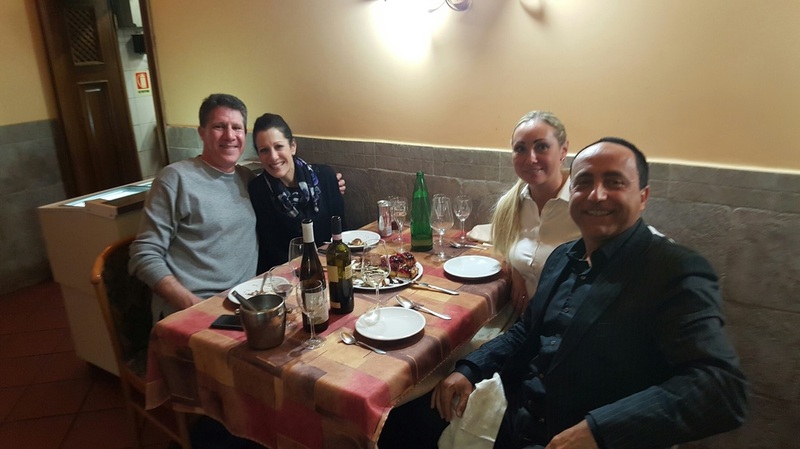 Whether it was a driver at the airport or our fabulous guides, Laura in Venice, Ana in Florence, Alex --- YOU personally escorted Steve and I to Castello di Verrazzano. Giuseppe in Sorrento and of course, Max, in Rome. The hotels were perfect, the tours were perfect, everything was perfect! I don't know which I loved more, Venice, Florence, Capri and the Amalfi Coast or Rome. We feel we have a friend in Italy! Alex please let us know when you are back in Florida!! Ciao for now my friend! We will be back. 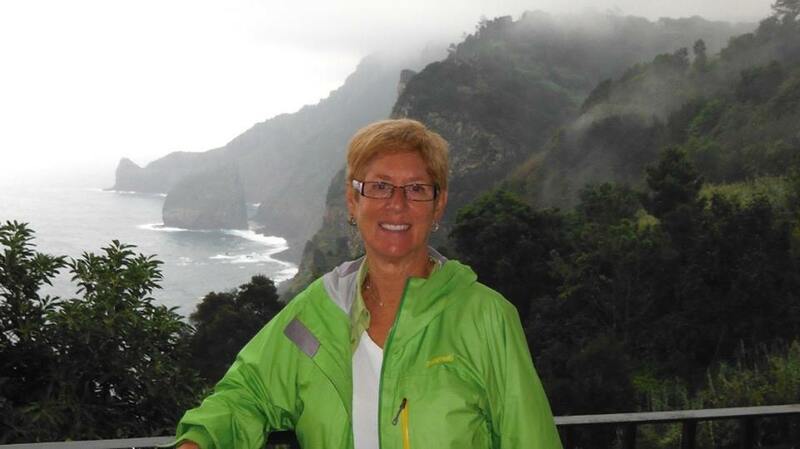 Thank you Anna for traveling with us in Puglia and Basilicata and for giving us 5 star on Facebook! 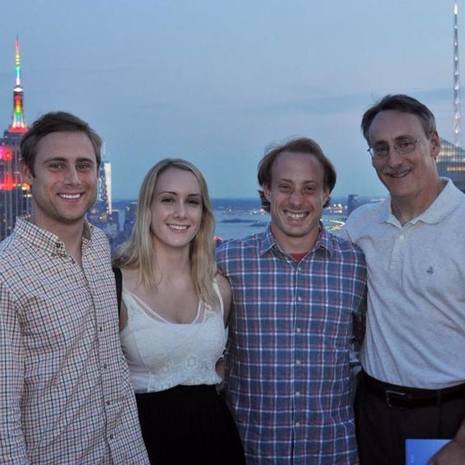 I contacted Alex at JustMyTour to set up airport transportation and day/night tours. Boy did Alex deliver! With Alex in charge of the planning I was able to relax and enjoy our vacation... Everyone we dealt with was polite and courteous and got us to our destinations without any problems. 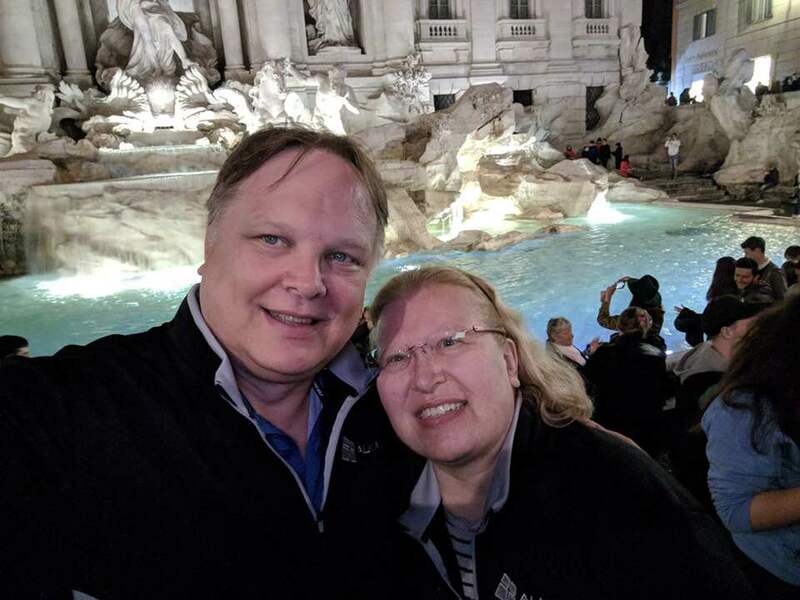 We flew into Rome and were greeted by a driver at the airport who took us to our hotel to check in... Our guide gave us a wonderful overview of the Vatican in a few hours and then took us on a three hour evening sightseeing tour of the inner city. The next morning a driver picked us up and took us to the airport to fly to Palermo where we visited family. Alex set up our ride to the airport in Palermo. When we left Palermo we flew to Paris. Again Alex had arranged our transportation from the airport...There is no way we could have coordinated tours of these two cities in the limited amount of time we had and to see everything we go to see. I was relaxed and calm throughout both tours knowing we were in good hands. Alex called to follow up after we returned home. I definitely recommend JustMyTour! Outstanding guide in Alex L. Look forward to a future adventure in Sicily and Umbria. Highly recommended to anyone looking for a knowledgeable guide. 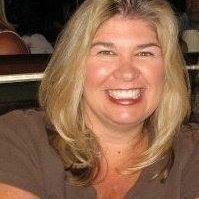 Finding alex@bestitalianvacations was the best find I ever found! A few days before ten of us headed to Barcelona for 4 days then a cruise with 5 stops at different ports, I contacted him to help us find tours to show us something special for the few hours we had there. Alex did not disappoint us. Each tour guide was very informative and interesting. We thoroughly enjoyed the time spent with them. We would have never seen everything and known about it without them. Taking a vacation and making it worth our while without doing the homework ourselves made it a perfect vacation. Thank you Alessandro, David, Ignacio & Marta, our tour guides, also. 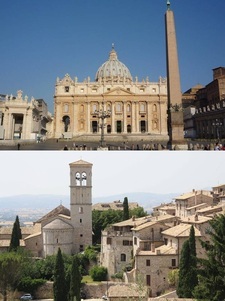 ​I'm not sure where to begin expressing my gratitude for the excellence of our planned vacation through Italy. Alex created an itinerary for our family of 5 that will remain in our hearts forever. 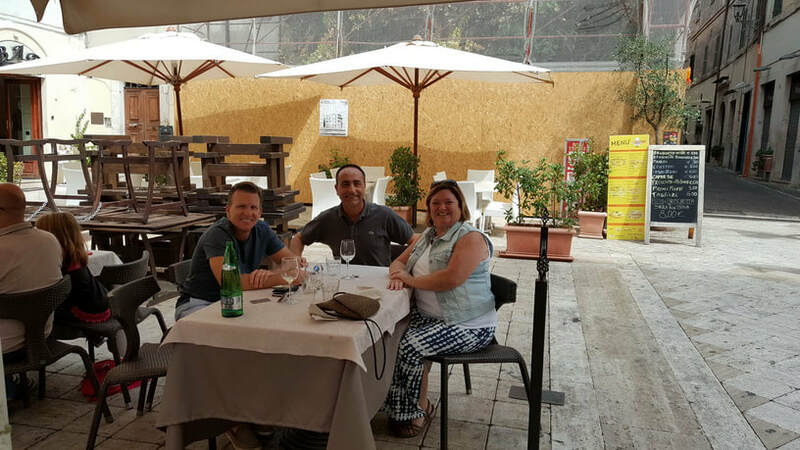 The service was superb, from hotel choices, tour guides, drivers, locations, and personal access to Alex for any of our questions or requests, our experience was truly the Best Italian Vacation! I could go into great detail about each service or transition, but that would make this review very long. Our every need was fulfilled with precision and genuine care. Having traveled extensively, I'm not sure I have ever had a vacation that was so easy and enjoyable. Even with three teenagers there was something for everyone to enjoy. 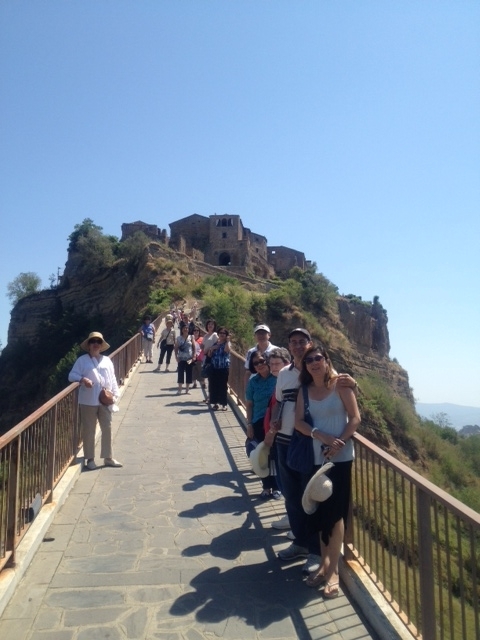 So many great experiences, the history, art, food, wine, countryside and sea views, we were full of life in Italy! Thank you Alex at JustMyTour, we will never forget our journey, you made it special and carefree. 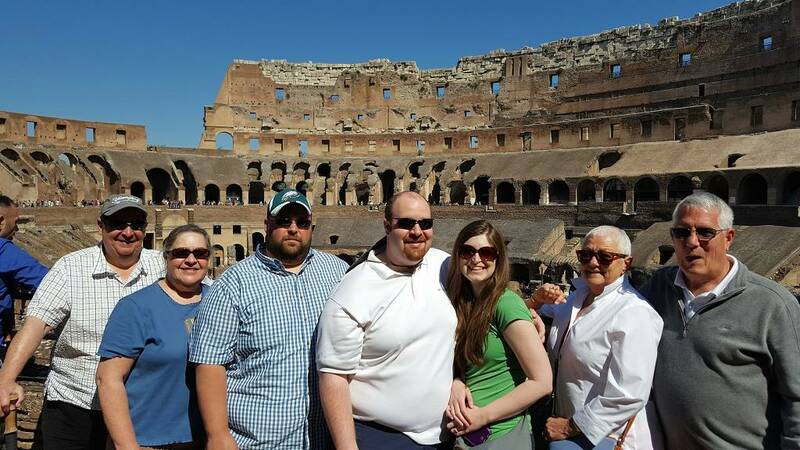 Our family of 4 adults just returned from our dream vacation to Italy where we stayed 3 nights in Naples, 3 nights in Rome, 1 night in Spoleto, 3 nights in Florence and 2 nights in Venice. After diligently researching various companies that specialized in Independent Travel and receiving their itineraries and quotes, I knew I was going to choose Best Italian Vacations because of the way this company differentiated itself above all the others. 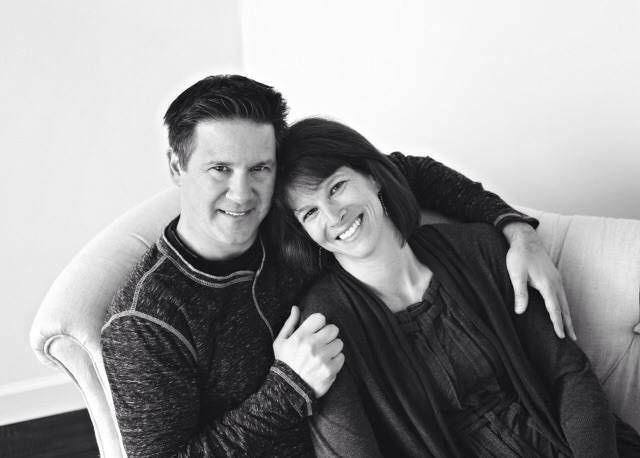 It started with a personal phone call from Alex after emailing a simple inquiry - he wanted to get to know our family - our likes and dislikes - and what we specifically wanted to do. He offered great suggestions and thru several calls & emails sent a great itinerary specifically designed for our family. I knew if he was this attentive to detail and concerned about our happiness before even being guaranteed the business that we would be in great hands once we arrived to Italy. Alex kept in constant communication with us leading up to our trip, and then once in Italy continued to make sure we were doing fine..... On our day trip to Pisa, at the last minute, he arranged an amazing private cooking class on our way to Pisa... What makes this company the best is the attention to detail and the highest standards of excellence. All the drivers and guides did their best to make you feel welcome and not just a tourist. 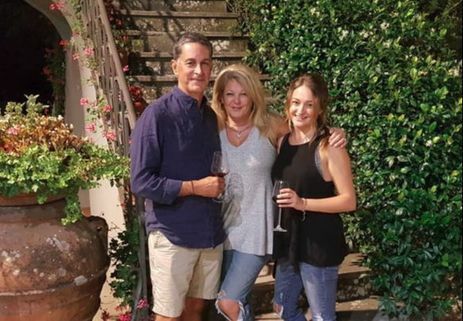 Alex, especially, made you feel like family and there is no doubt that we would have never experienced Italy like we did if it hadn't been for this level of service. I whole heartily recommend JustMyTour! 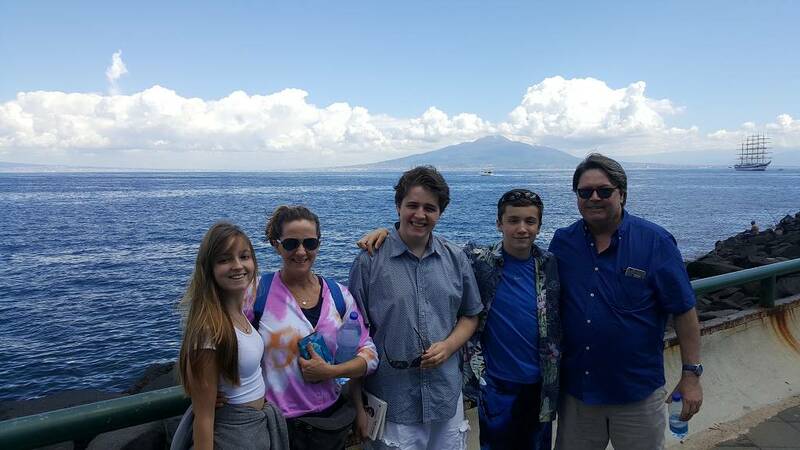 Thanks, Alex, for making our dream trip come true... we can truly say that from the moment we arrived in Naples and was immediately greeted by a private driver to the last trip by private boat to the airport in Venice - it far exceeded our expectations! We so enjoyed not only experiencing your great country but also truly gaining a new Italian friend!!! God Bless you, Alex, and your company! This was the trip of a lifetime, but now we're hoping for a return trip in a few years. We can highly recommend Alex and Best Italian Vacations. It would have been impossible to plan such an amazing trip on our own. 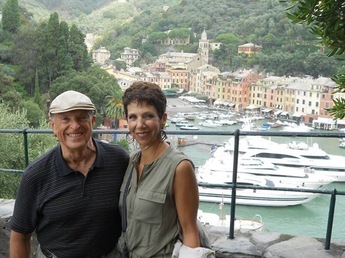 My husband and I recently returned from two weeks traveling to Venice, Florence, Tuscany, Positano and Rome, and we can't stop thinking about how incredible the trip was thanks to Alex and Best Italian Vacations. The hotels he selected for us were beautiful (with great views) and conveniently located, and our driving transfers were always timely, friendly and most importantly, stress-free. Every tour he arranged for us was phenomenal—the guides were all extremely knowledgeable, friendly and excited to show us their cities—and Alex was very accessible and accommodating the entire time we were there. We'd recommend him again and again! Thanks for the awesome trip, Alex! 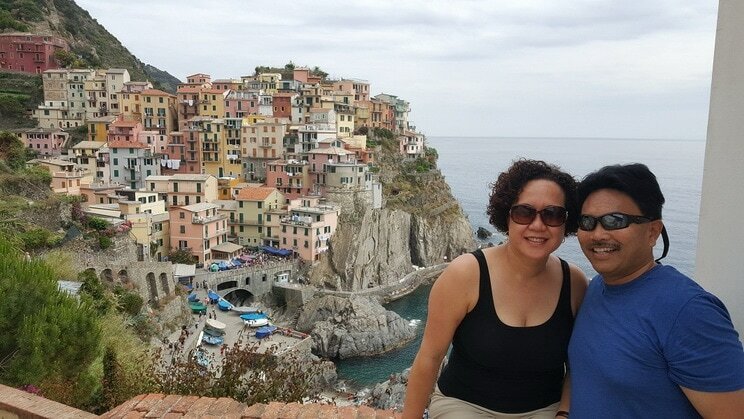 My wife and I recently traveled to Italy on a private tour arranged by Best Italian Vacations. Everything was handled with the utmost professionalism. Alex could not have been more accommodating or accessible throughout our trip. As for the tour.......... we had a ball. Everyone from the drivers to the guides were always exactly on time, knowledgeable and caring. We could not have asked for more. Alex recommended several restaurants in the various cities and each one was better than the last. The accommodations were first rate with all staff at the hotels professional and attentive. It was the out of the way places and small towns of which we were unfamiliar that most impressed me. Alex had arranged visits to these places and we just went along with the suggestion and each time we were not only impressed but enthusiastic to return. 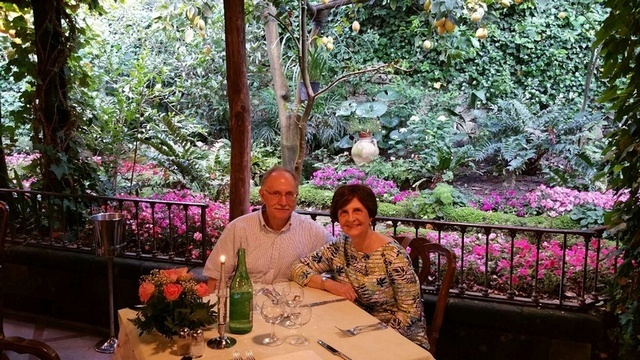 My wife and I celebrated 35 years of marriage in Italy. We are close to 60 and all of our friends are getting to the age of wanting to travel abroad. It is without hesitation that I will refer them to Alex and Best Italian Vacations. This was our first time trusting Best Italian Vacations and it will not be our last. Thank you Alex and all of those wonderful people who work with you in the various cities for making our trip incredible. We truly enjoyed our Trip. 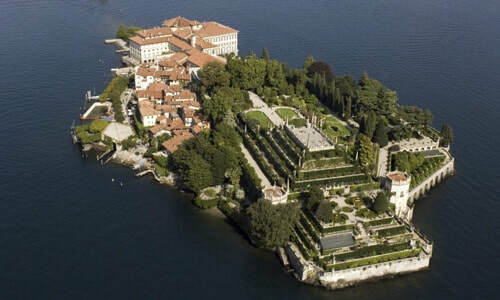 It covered lake Maggiore, lake Como and lake Garda. All hotels had spacious rooms with lake view. Drivers and guides were excellent. They were always on time. Cars were new and clean. Alex did excellent job. He responded to any questions fast and called us himself during the trip to check if everything goes well. We look forward for our next trip organized by Alex. Just got back from visiting Umbria, Rome, Amalfi Coast area with a group from Nashville, TN. Two girlfriends and myself extended our trip to Venice for four days. Alex arranged everything for us, including our air, The Duodo Palace, our boat taxi and even a guide, Gabriella! Everything worked out perfectly and we had the best time! Thank you 'Best Italian Vacations' for everything!!! Alex was the hardest working most informative personal guide I've ever had. He selected excellent hotels, restaurants, tours, and great shops to shop in! He made it fun for everyone. I cannot wait until my next tour with him! He was wonderful! I cannot say enough about how my dream of going to Italy was met above and beyond anything I could have imagined. If you don't have Alex your trip will not be complete! Best Italian vacations provided us with a dream vacation. Alex and his team fulfilled all our expectations and requirements for the multiple places we wanted to visit. Our guides that he provided were professional and extremely knowledgeable which added immensely to our experience. Any concerns or questions we had were answered immediately with help and support provided if necessary. We highly recommend this company for all travel needs. We look forward to using them again. Living here in Europe for the past 38 years, I thought that I had already seen and nearly done it all. So when we signed up for the trip to the Amalfi Coast and Puglia it was more about simply enjoying some sunshine in late October than discovering new and interesting places. Boy, were we surprised! The Puglia that Alex showed us was truly "off the beaten track", visiting places where tour buses could never go and the individual traveler would seldom find. His choice of hotels and restaurants was also outstanding as was his driving skill. The only question now is which of his other tours should we join? The tour, driver, dinner was perfect. It's exactly what I imagined. Thank you so much. I will definitely think of you the next time I go back. We had a lot of fun with our driver, very informative, friendly and I felt he really wanted us to enjoy. The dinner was amazing, one of the best on our whole trip. All the timing worked out too, pick up and drop off was on schedule. Thanks again! I'm a very happy customer! Just completed our Grand Tour of Italy with Alex. It was fantastic in every respect!! Alex & his team leaves nothing to chance thru careful planning & organization. Alex's attention to detail extended to the little things - like pointing out the best location for those memorable photos. Alex makes you feel like you are the only person(s) on the tour! 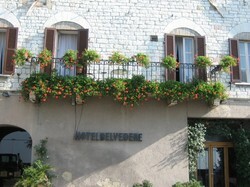 All hotels were excellent **** and right in the center of each city or town. 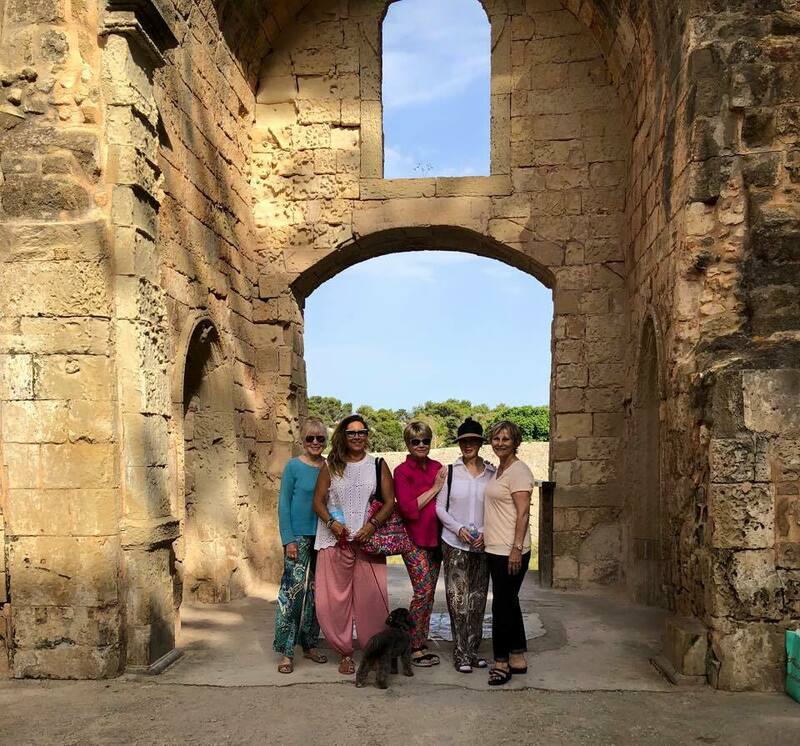 • The relaxed, stress-free pace, of a private tour - there was a lot more flexibility in the daily schedule to cater to our interests and occasional whims. • Peaceful evenings at our booked hotels located at less crowded places e.g. Montecatini Terme , Lucca and San Gimignano . • Alex Lavagnini's friendliness and utmost concern for our comfort and enjoyment - he led us for 9 days around Tuscany, including off the beaten path places such as Montecatini Alto, Montecarlo and Torre del Lago; modified our hotel booking to allow us to attend Puccini Operas in Lucca; arranged special menus at some restaurants to taste typical food of the area; generous wine tastings. He threw in extras (he calls them "surprises") e.g. a private tour of Teatro dei Rassicurati in Montecarlo, described as the harmonious scaled down model of classic 'teatro d'opera' of the 18th and 19th centuries. If you are looking for a unique experience in Italy you can’t go past the collaboration of Lyn Thomas (“Sunshine Yoga”, Australia) and Alex Lavagnini (“Best Italian Vacations”). Lyn teaches her own style of Hatha yoga which concentrates on breathing, stretching and healing. Alex, as the testimonials attest, is the tour guide extraordinaire! He is so thoughtful and nothing is too much trouble. 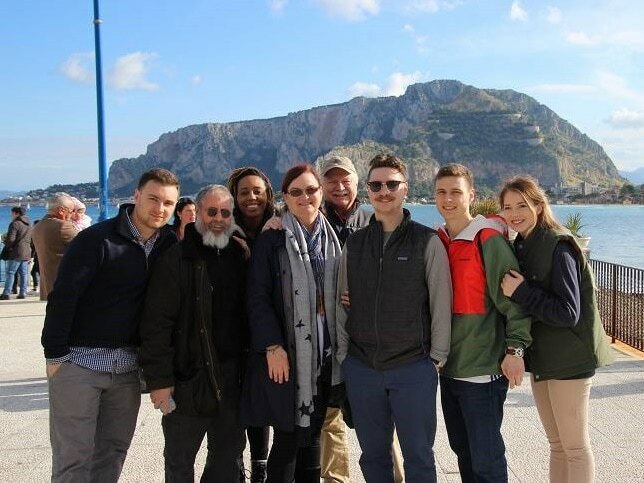 Under their guidance we had such a memorable holiday, spending time on the Amalfi Coast, Rome and Umbria. The highlights were daily, be it early morning yoga on a platform overlooking the tranquil Mediterranean, a private boat to Capri, being captivated by an enormous valley of wild flowers, walking through ancient hilltop villages, rafting down the Nera River to splashing and laughter and sampling the local cuisine. Alex knows how to surprise and delight his guests. Great trip! Thanks Lyn and Alex. Alex has truly started a new standard of quality, attention to detail, flexibility, and time management in a tour company! The friendliness & knowledge of both his chosen drivers and local guides attest to his passion and abilities in creating a unique experience that surpasses the typical mass "touristy"operators. 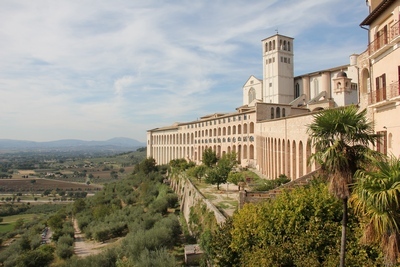 Alex and Best Italian Vacations provided our family with a wonderful tour of Italy that included Rome, Venice, & Assisi. Thanks again, Alex!! This quote sums up one of my most memorable nights on my Positano/Rome/Umbria holiday with Best Italian Vacations. 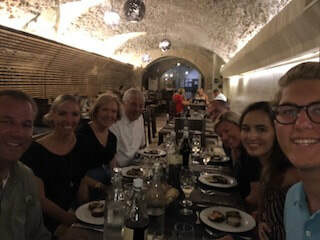 Our group of 8 rocked up to the village of Montefranco for the annual festival of pizza dishes, where we ate, drank and danced the night away!! We were the only tourists present and it was one of the many ‘off the beaten track’ locations Alex took us to. 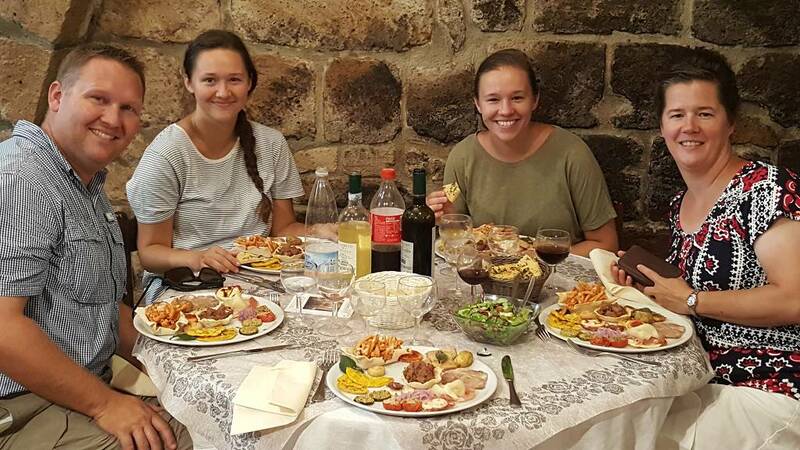 I loved sampling the local specialty dishes as well as wine and olive oil tasting. Alex was enthusiastic and dedicated to his group enjoying themselves. Thanks Alex! Alex has given us a gift of wonderful memories of our trip to Florence and Pisa. We experience nothing short of superb service. 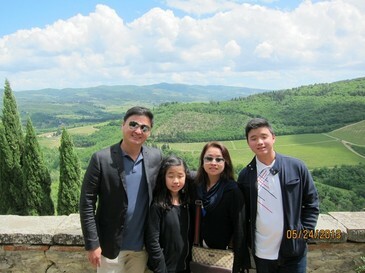 Not only did we get a personalized tour of Tuscany but we felt that we were traveling the country side with a friend! Alex and the company had fulfill all my expectation of how I should experience Italy. Punctuality, helpfulness, and friendliness were all the services we experience through this company. My only regret is to not have used Alex on the rest of my European vacation! I'll be sure to recommend this tour company to friends, family and any stranger that will listen! This is the first time that I availed of a customized tour. The distinct advantage of such a set-up is that the travel pace is in accordance with the schedules of the person traveling. Travel time is optimized and you can recommend what specific places you want to visit. The tour guides, Marco and Alex, are very well-versed on the history and significance of the places being visited. A plus factor is that you are able to get a real glimpse of the Italian way of life, both now and before. Thank you so much Alex and Marco for the hospitality and looking forward to more travel adventures with your group. Alex took care of us like family! We saw places that we never would have even known about that were "off the beaten path" that Alex included in our tours. His knowledge of Italian history, politics, culture and arts is impressive. He made our trip easy, enjoyable and fun. We would never hesitate to share his name with family members and friends. Alex made our experience in Italy less touristy and more local flavor which is what we enjoy when traveling. Alex is a delight and I would highly recommend seeing Italy with him! 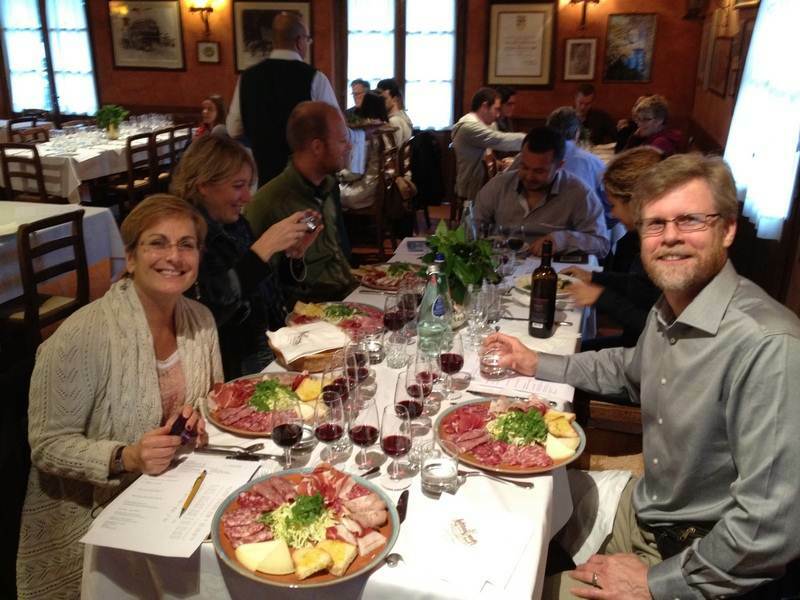 Rona & Shawn at wine tasting in Tuscany- Photo by Rona F.
The trip was amazing! Alex did a fantastic job of designing the trip. A few words to say how we appreciated your excellent service. Everything went so smoothly. There wasn't any part that I didn't enjoy except the days that were over 35 degrees Celsius (we still had fun except we were very sticky). I will remember this trip as a once in a lifetime experience. We have many great pictures. 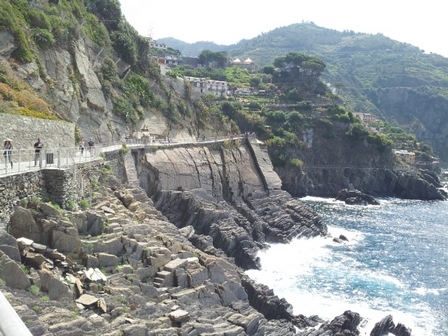 I think my favorite part was the Cinque Terre coast, villages on the slopes of the hills facing the sea. But as I said, there wasn't any place that wasn't fantastic. The pacing was perfect as we never felt too rushed. There was so much to see in every location you could easily spend more time in each place. We drank a ton of wine and ate a lot. Thank you so much for planning our trip. We had a wonderful time and everything worked out great. From the transfers, to the hotels, breakfast, etc. 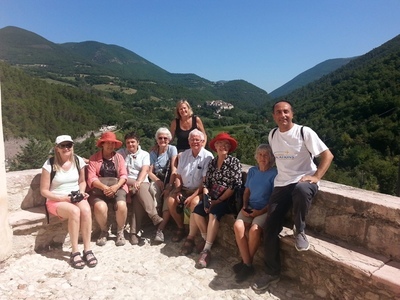 Our group that toured in the Umbria and Tuscan region this July just really, really had a wonderful time. My friends who look at the photos on my Facebook page just say that they also live the experience just looking at them. Kudos to our tour companion, Alex, who just gave it his best shot. A medical emergency came up and he was just on top of the situation. Definitely, it is Best Italian Vacations for us and will recommend to our friends! 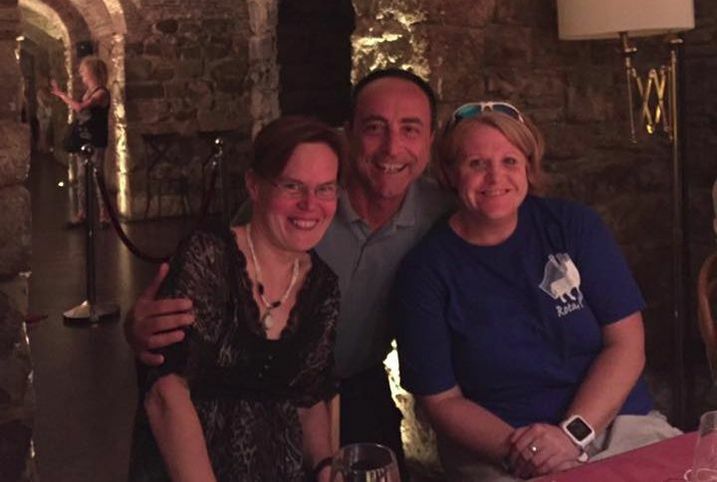 Everyone knows Italy delivers, but finding a touring team of consultants that can deliver is harder than you think. 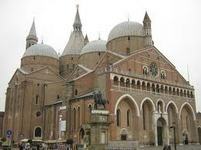 "Best Italian Vacations" provided the ultimate in Italian touring experiences for our pilgrimage. Look no further, this is your team! Special thanks to Alex! There wasn't anything that he couldn't handle for our group. The trip was outstanding. The places we saw were unbelievable. I will not travel any other way now. We saw so much more with a private tour with you than I have in several trips with other tour companies. You have my vote for more! Wow ! I am so impressed. Thank you so much for rescheduling our whole trip when our flight was delayed a day because of mechanical problems. All it took was a call and you had fixed everything. Seeing Paestum’s Greek temples, the ruins of Pompeii, the Coliseum and Forum in Rome not to mention all the city forts in Umbria and Tuscany that we saw were outstanding!! To see all that history and be able to walk right up and touch it was unbelievable.